It is now accepted that many of the determinants of health and health care are social. This volume offers a philosophical and theoretical frame within which the nature and extent of this might be optimally examined. The analysis is rooted in Roy Bhaskar’s basic and dialectical critical realism, although it draws also on the critical theory of Jurgen Habermas. It purports to provide an ontologically and epistemologically grounded comparative sociology of contemporary health and health care in the twenty-first century. Carrying a fourfold agenda, the volume sets out a dialectical critical realist frame for a comparative sociology of health and health care; it clarifies sociology’s potential and limitations; it suggests a research programme and a series of questions for investigation; and it offers an argument for an action sociology embedded in a dialectical theory of transformative action. This volume will be of interest to students and scholars in the areas of philosophy, sociology and critical realism, as well as those working in health and social care. 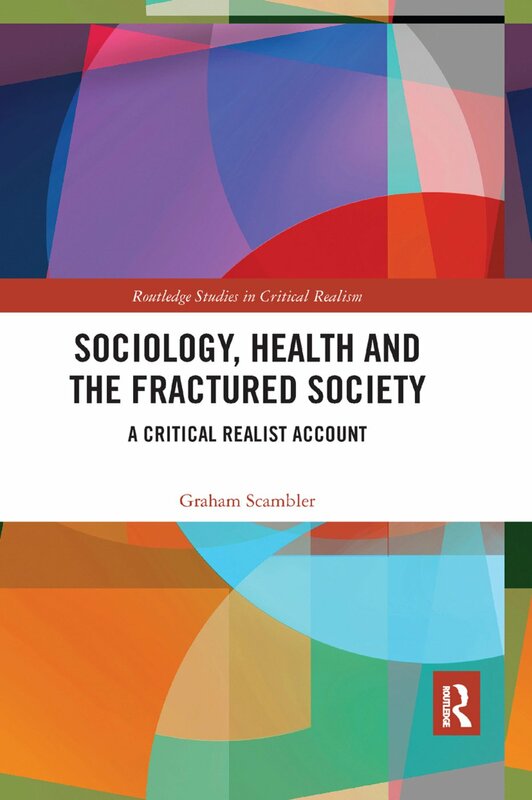 Graham Scambler was Professor of Medical Sociology at UCL until his retirement in 2013, and is currently Emeritus Professor of Sociology at UCL and Visiting Professor of Sociology at Surrey University. Critical Realism is a broad movement within philosophy and social science. It is a movement that began in British philosophy and sociology following the founding work of Roy Bhaskar, Margaret Archer and others. Critical Realism emerged from the desire to realise an　adequate realist philosophy of science, social science, and of critique. Against empiricism, positivism and various idealisms (interpretivism, radical social constructionism), Critical Realism argues for the necessity of ontology. The pursuit of ontology is the attempt to understand and say something about ‘the things themselves’ and not simply about our beliefs, experiences, or our current knowledge and understanding of those things. Critical Realism also argues against the implicit ontology of the empiricists and idealists of events and regularities, reducing reality to thought, language, belief, custom, or experience. Instead Critical Realism advocates a structural realist and causal powers approach to natural and social ontology, with a focus upon social relations and process of social transformation. Important movements within Critical Realism include the morphogenetic approach developed by Margaret Archer; Critical Realist economics developed by Tony Lawson; as well as dialectical Critical Realism (embracing being, becoming and absence) and the philosophy of metaReality (emphasising priority of the non-dual) developed by Roy Bhaskar. For over thirty years, Routledge has been closely associated with Critical Realism and, in particular, the work of Roy Bhaskar, publishing well over fifty works in, or informed by, Critical Realism (in series including Critical Realism: Interventions; Ontological Explorations; New Studies in Critical Realism and Education). These have all now been brought together under one series dedicated to Critical Realism. The Centre for Critical Realism is the advisory editorial board for the series. If you would like to know more about the Centre for Critical Realism, or to submit a book proposal, please visit www.centreforcriticalrealism.com.